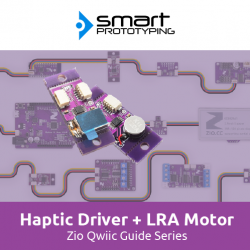 We are making your life easier, this is the first Motor controller IC (DRV2605L) + LRA motor (G0832012) combination module on the marketing, we make it tiny and with two Qwiic connectors on the board, no need soldering, just plugin and have fun! To make the board smaller, you can use pliers to remove the tab bar by following the continuously hole line. This is a general construction LRA vibration motor, the Y-axis type. 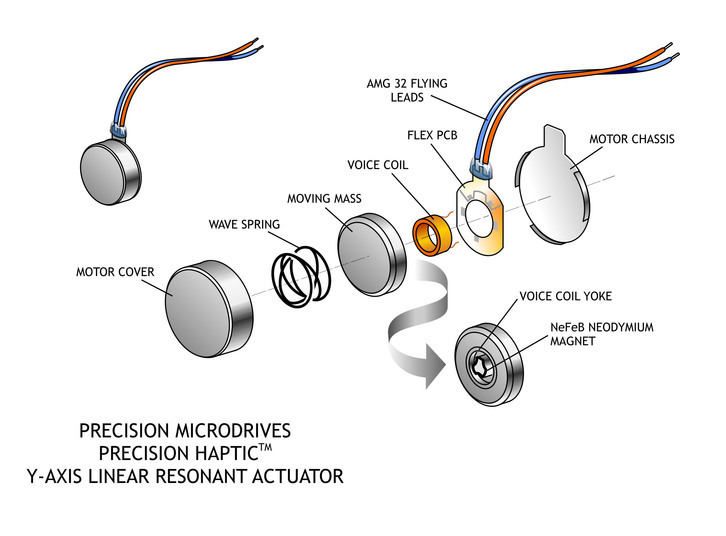 Those readers familiar with audio engineering will note that the voice coil drive is very similar to that loudspeaker. However, instead of a cone that generates sound pressure waves, there is a mass that generates vibrations.